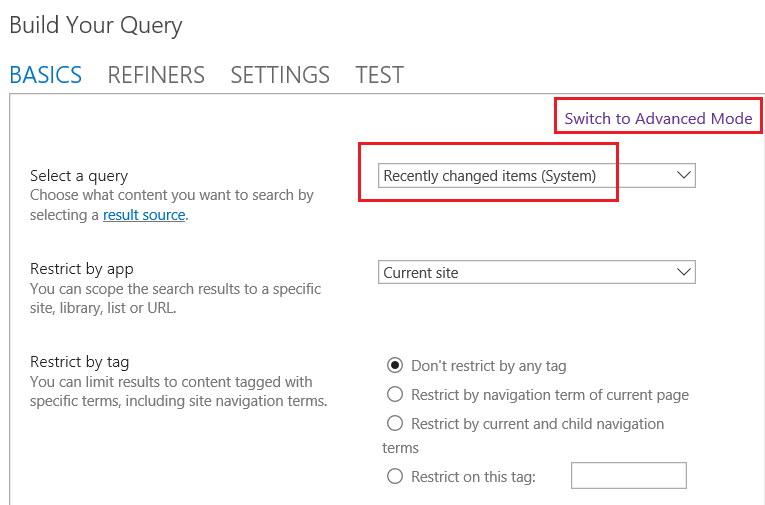 In the Build Your Query dialog box, go to BASICS tab, make sure that you select the same result source, restrict and set the same query text for the result. Then go to REFINERS tab to check if the refiners exists. Not the answer you're looking for? Browse other questions tagged sharepoint-online web-part content-search-web-part refiner or ask your own question. When creating a sharepoint site can list content be mixed with web-parts? Does Enterprise Search Center have anything to do with Content Search Results web part? How do I add refiners to my site for the Content Search webpart?